silver Aluminium metal two drawer bedside chest of drawers. 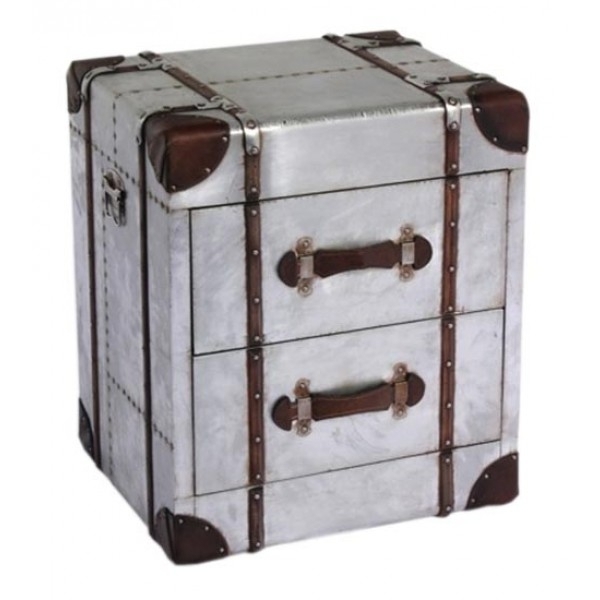 An utterly stylish industrial style on-trend warehouse style finish, compete with rivets, this is perfect to bring an instant style update for your interior decor. Due to the nature of hand finished furniture small flaws and distress are intentional, and add to the charm. The size is w51.5 x d43.5 x h61cm.